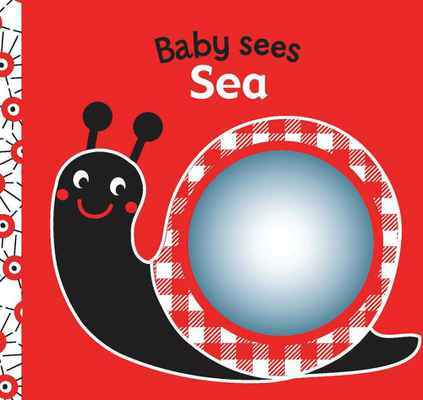 Little ones will love everything about Sea, a bold, beautifully illustrated cloth book from the Baby Sees series that helps them learn about the big, bright world. A 3-D cover features the softest velour for babies to touch, and a mirror lets them see their own smiling faces! Inside, babies will find crinkly pages to hear (and feel) and lots of engaging illustrations of sea creatures, including a dolphin, starfish, crab, octopus, and more. Since newborns respond best to high contrast colours, this book features cute creatures in black, white, and red. These colour combinations will captivate your baby while encouraging visual development and physical activity—like wiggling, kicking, clapping, and waving.